Natasa was born in Belgrade in 1976 and raised in Nis. She is a Ph.D. student at the Faculty of Political Science. She completed the basic studies on this faculty (international relations), and later got a Master's degree at the London School of Economics and Political Science (European integration). She has worked on matters of decentralization, EU / European integration and implementation of anti-discrimination legislation for the Government of the Republic of Serbia and the UNDP. Before that she was engaged in television journalism and management. She is one of the founders and an activist at OCD Serbia on the move because she believes that a small group of citizens dedicated to a certain goal can change the world, in which she was convinced by attending program "Leadership, organization and action: Leading change" at the John F. Kennedy School of Government at Harvard University, with Professor Marshall Ganz. Hold trainings on organizing community and motivational speech. Djordje's mother. 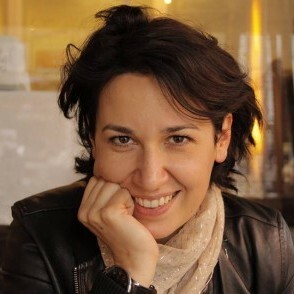 Marina was born in Belgrade in 1983. She finished Fourth Belgrade High School, and later on graduated from the Faculty of Philosophy in Belgrade, Department of Philosophy. If she was born in another country, on another planet or in another time, she would probably be engaged in philosophy, mathematics, art and pedagogy, but the current situation in society disturbs her. She believes in people and believes that together, if we put in a little effort and organize, we can make miracles happen. In 2009 in Serbia on the move, she found people who have grown tired of waiting for changes to happen by themselves, people who have not lost hope that in our country one can live in dignity and who believe that there is a huge untapped potential in each of us. Like a great hedonist she is, she enjoys interacting with people with whom she shares same values and ideals. 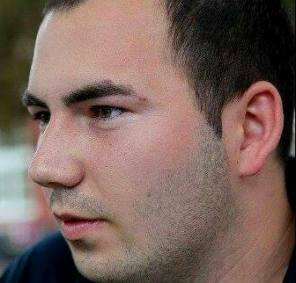 Srecko was born in tumultuous 1991 in Bor. He participated in 2010 in the campaign for establishing Youth Office, later in 2012 launches his own campaign “I want to get in the night transport”. In 2013, as a team leader for the Program “Responsible traffic participants”, he received an award of EU Delegation in Serbia for his contribution to the promotion of EU values. For the homonymous volunteer project together with his team through the "My Community" program in the competition of 183 volunteer projects he received second place in Serbia by the Ministry of Youth and Sports. He was engaged in security educations and prevention of violence in the virtual world through several programs. 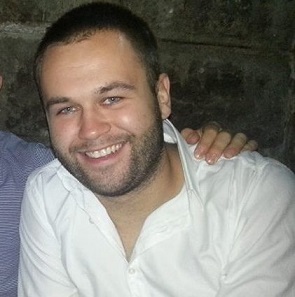 He heard of Serbia on the move in 2014 when he got engaged as an activist in different socials, actions and educations. He established Serbia on the moves’ club in Bor and got involved in the “Matter of Choice” campaign on which he is still actively working. He believes if a person is passionate enough, anything is possible. He likes to initiate action and people to action. He is highly motivated, team-spirited but a leader in heart. He loves his family and friends. Ivana was born in Belgrade in 1982. She finished fourth Belgrade High School, and later on graduated from the Faculty of International Economy in Belgrade, European studies module. 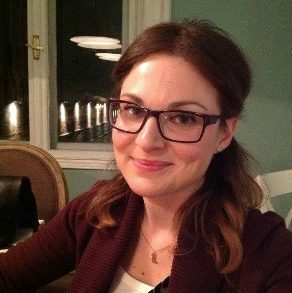 She is a part of Serbia on the move since September 2012 when she started working practice within the project “What’s your doctor like?” and since February 2013 she is Assistant Director in Serbia on the moves’ office, also in charge of financial administration. 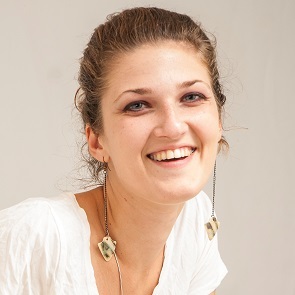 She also worked on projects and campaigns such as “Young journalists in action - Loud for Health care!”, “Zero Tolerance for Corruption in the Serbian Health care System”, “Right to know!”, “Matter of Choice”, Belgrade Ignite, Free Entrance, Right for Moms… In early 2015, she was responsible for the logistical organization of the international conference of Leading Change Network, Global gathering 2015. 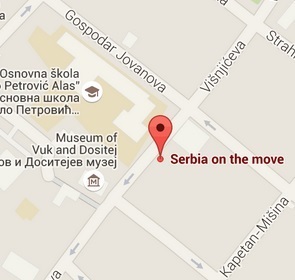 Serbia on the move is an inexhaustible source of young and energetic people, optimism and motivation for her. He was born in Bor in 1991. 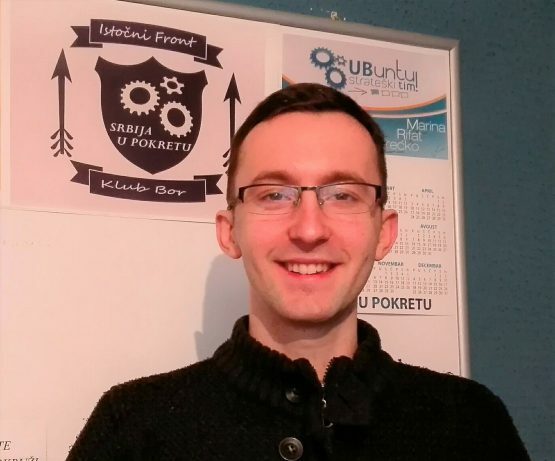 He graduated from School for Mechanics and Electro-engineering in Bor, and is currently at his final year of studies at the Faculty of Law in Niš. During his studies he got engaged in activism, which he continued with upon his return to Bor. He likes taking part in the activities of local youth organizations. He likes to learn, travel and meet different cultures. He is a natural born dreamer who was made to work. He says that Serbia on the Move is a family of brave and smiling people. He believes that life is full f opportunities if you know how to spot them.